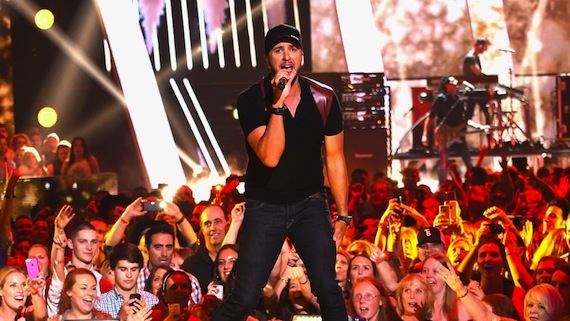 The CMT Music Awards gave a track sales boost to many of the artists who performed on the show. After his performance on the show, Keith Urban reeled in the top country single debut, with “John Cougar, John Deere, John 3:16” selling 36K and entering at No. 7. On the country albums chart, the Now Country 8 compilation is the top country debut, entering at No. 1 with sales of 19K. Elsewhere on the country albums chart, Montgomery Gentry delivered Folks Like Us (4.6K) and Cam’s EP Welcome to Cam Country geared up with 2K. In its second week of release, the duet project from Willie Nelson and Merle Haggard fell to No. 5 with 14K. On the overall chart, Muse’s Drones debuted at No. 1 with 84K (79K album only). Coming in at No. 5 is the Rolling Stones reissue of Sticky Fingers 36K (34K album only), just in time for tonight’s Nashville concert at LP Field.